. . . The Countryman E plug-in hybrid prototype accelerates from 0 to 100 km/h in around 6.5 seconds. Its average fuel consumption in the EU test cycle for plug-in hybrid vehicles will be approximately two litres per 100 kilometres, which equates to CO2 emissions of under 50 grams per kilometre. The range on electric power alone as measured in the EU test cycle will be 38 kilometers or about 24 miles. 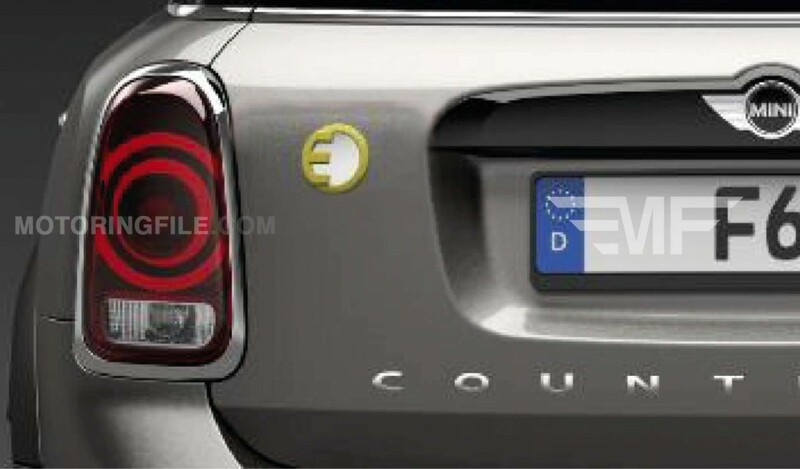 MINI will likely allow for a 50 mph limit to electric power giving the Countryman E the ability to run in 100% electric mode for many urban commutes. . . .